PASADENA, Calif. -- NASA's Mars Reconnaissance Orbiter is examining several features on Mars that address the role of water at different times in Martian history. Features examined with the orbiter's advanced instruments include material deposited in two gullies within the past eight years, polar ice layers formed in the recent geologic past, and signs of water released by large impacts when Mars was younger. Last year, discovery of the fresh gully deposits from before-and-after images taken since 1999 by another orbiter, Mars Global Surveyor, raised hopes that modern flows of liquid water had been detected on Mars. Observations by the newer orbiter, which reached Mars last year, suggest these deposits might instead have resulted from landslides of loose, dry materials. Researchers report this and other findings from Mars Reconnaissance Orbiter in five papers in Friday's issue of the journal Science. "The key question raised by these two deposits is whether water is coming to the surface of Mars today," said Alfred McEwen of the University of Arizona, Tucson, lead scientist for the spacecraft's High Resolution Imaging Science Experiment camera and co-author of three of the papers. "Our evidence suggests the new deposits did not necessarily involve water." One of the fresh deposits is a stripe of relatively bright material several hundred yards long that was not present in 1999 but appeared by 2004. The orbiter's Compact Reconnaissance Imaging Spectrometer for Mars reveals the deposit is not frost, ice or a mineral left behind by evaporation of salty water. Also, the researchers inspected the slopes above this and five other locations that have bright and apparently young deposits. The slopes are steep enough for sand or loose, dry dust to flow down the gullies. Bright material seen uphill could be the source. Other gullies, however, offer strong evidence of liquid water flowing on Mars within the last few million years, although perhaps at a different phase of repeating climate cycles. Mars, like Earth, has periodic changes in climate due to the cycles related to the planets' tilts and orbits. Some eras during the cycles are warmer than others. These gullies are on slopes too shallow for dry flows, and images from Mars Reconnaissance Orbiter's high-resolution camera show clear indicators of liquid flows, such as braided channels and terraces within the gullies. Another new finding from that camera may help undermine arguments that very ancient Mars had a wet climate on a sustained basis. Landscapes with branched channels and fan-like deposits typical of liquid flows were found around several impact craters. Images show close association between some of those flow features and ponded deposits interpreted as material melted by the impact of a meteoroid into ice-rich crust. 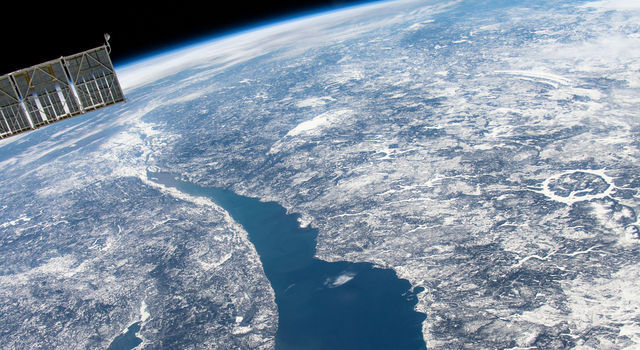 This new evidence supports a hypothesis that ancient water flows on the surface were episodic, linked to impact events and subsurface heating, and not necessarily the result of precipitation in a sustained warmer climate. Crater-digging impacts were larger and more numerous during the early Martian era when large drainage networks and other signs of surface water were carved on many parts of the planet. The Mars Reconnaissance Orbiter has examined ice-rich layered deposits near the Martian poles with the ground-penetrating Shallow Subsurface Radar instrument, and other experiments. The radar detected layering patterns near the south pole that suggest climatic periods of accumulating deposits have alternated with periods of erosion, report Roberto Seu of the University of Rome and his co-authors. Maria Zuber of the Massachusetts Institute of Technology and her collaborators used effects of Mars' gravity on the orbiter to check whether layered deposits at the south pole are high-density material, such as rock, or lower-density such as ice. Their observations add to other evidence that the layers are mostly water. Kenneth Herkenhoff of the U.S. Geological Survey, Flagstaff, and others used the high-resolution camera to trace a series of distinctive layers near the north pole. 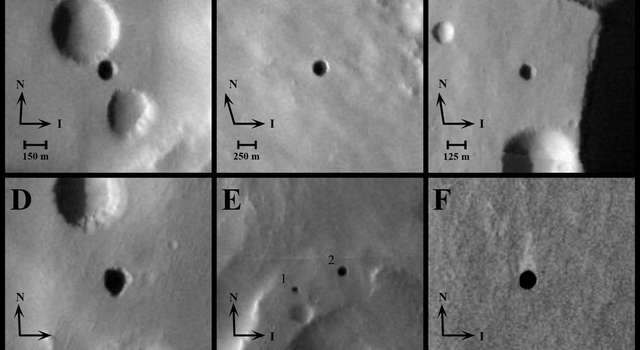 An accompanying paper by Windy Jaeger of the U.S. Geological Survey, Flagstaff, and co-authors uses images from the high-resolution camera to show lava flows completely draping a young Martian channel network called Athabasca Valles. This creates ponded lava over an expanse that other researchers had interpreted in 2005 as a frozen sea. 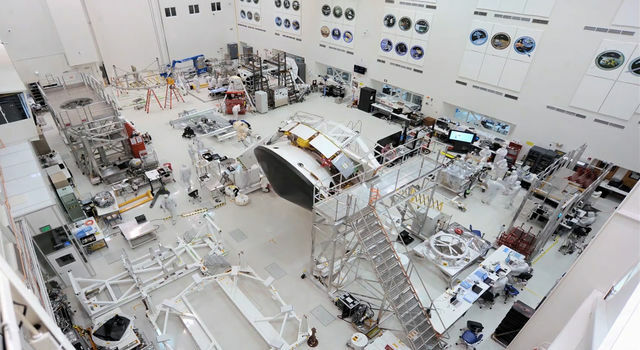 JPL manages the mission for NASA’s Science Mission Directorate, Washington. Lockheed Martin Space Systems, Denver, is the prime contractor and built the spacecraft. 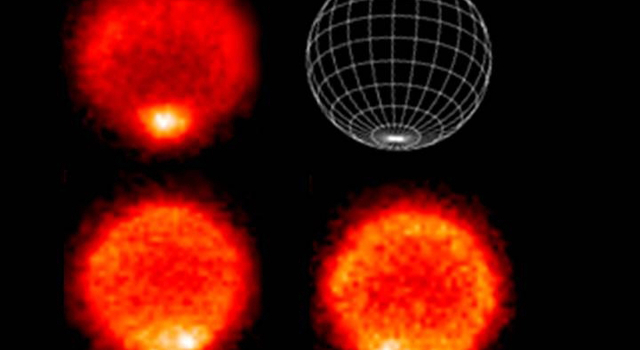 The University of Arizona operates the High Resolution Imaging Science Experiment camera, built by Ball Aerospace & Technologies Corp., Boulder, Colo. 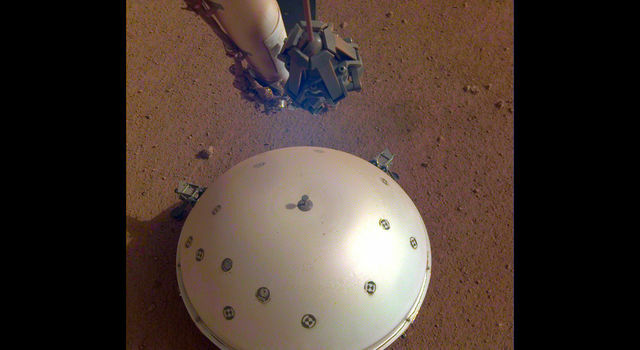 The Johns Hopkins University Applied Physics Laboratory, Laurel, Md., operates the Compact Reconnaissance Imaging Spectrometer for Mars. The Shallow Subsurface Radar was provided by the Italian Space Agency; its operations are led by the University of Rome, and its data are analyzed by a joint Italian-U.S. science team. Images from the new reports are online at: http://www.nasa.gov/mission_pages/MRO/multimedia/20070920.html. Additional information about NASA's Mars Reconnaissance Orbiter is online at: http://www.nasa.gov/mro. Note to Editors: A video file that includes animation, actual Mars images and sound bites is airing on NASA TV today at 1 and 7 p.m. PDT (4 and 10 p.m. EDT), and tomorrow at 3 a.m., 6 a.m., 9 a.m., 1 p.m. and 9 p.m. PDT (6 a.m., 9 a.m., noon, 4 p.m. and 10 p.m. EDT).